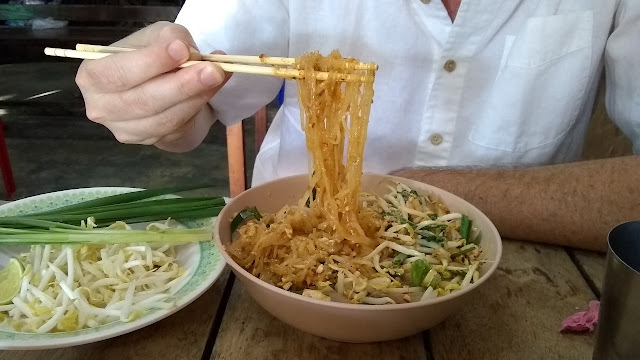 Pad Thai has become almost a cliché dish - both as an American Thai restaurant staple, and as the only dish Americans order when in Thailand. That doesn't mean you shouldn't order it, though, because it is delicious. And it rises to a whole new level in Thailand. 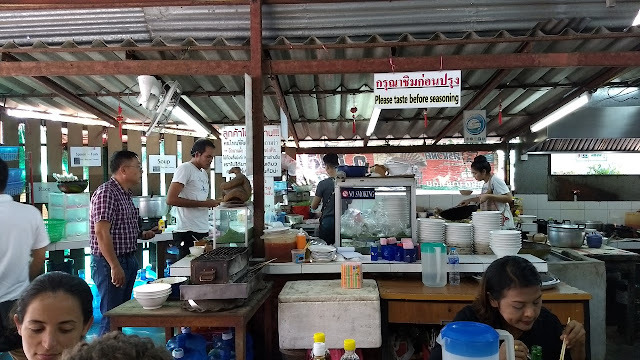 Located on Patak Road, inland from the tourist beach corridor, The Pad Thai Shop is very much a local joint with a sprinkling of expats and tourists thrown into the mix. 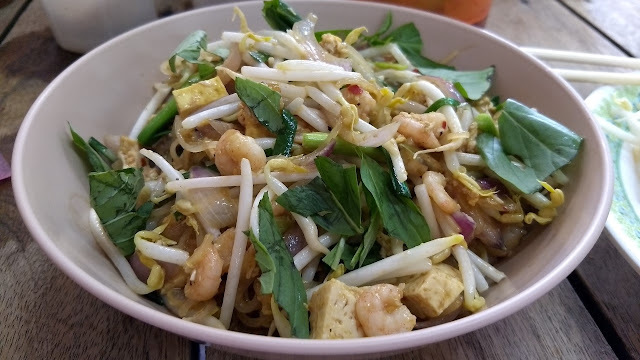 We ordered the chicken and the prawn pad thai - both were delicious, but we particularly liked the chicken. 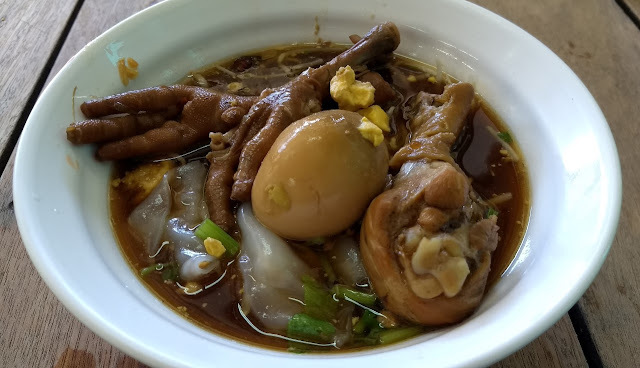 Easily the best version of the dish I've ever had. Chicken leg, foot and an egg in a rich, savory broth with wide rice noodles. Amazing. 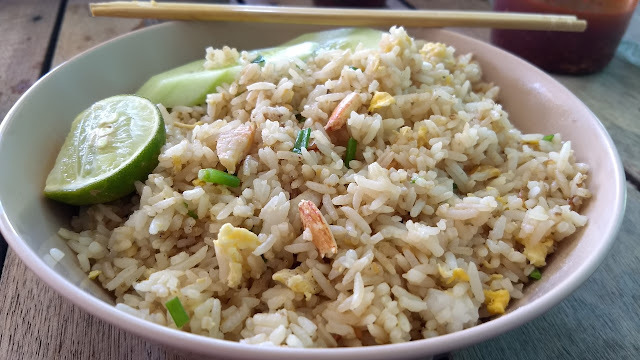 Less amazing, but still quite pleasant to eat was the crab fried rice. I wish we'd been able to eat here a few more times, as other items on the menu were still beckoning. 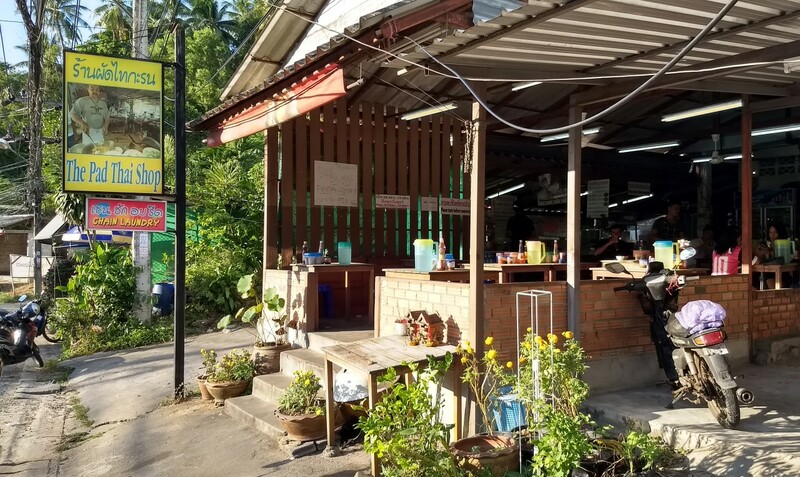 Definitely a must try if you are in Kata Beach.